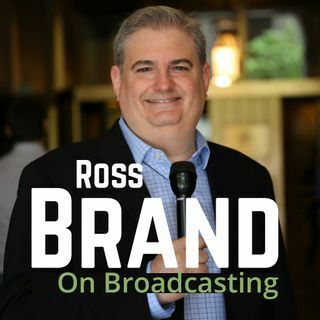 On Brand on Broadcasting with Ross Brand, PureMatter CEO Bryan Kramer talked about the value of going live in private Facebook groups vs on public Facebook pages, how Facebook is moving toward a paid content model, why he traveled to Toronto to record videos that he’s giving away for free, and how Instagram’s new vertical video platform, IGTV, could become the destination that everyone visits for online video. Bryan joined me for the interview in person at #SMWL18 (Social Media Week Lima, ... See More Ohio), the Midwest’s largest social media conference, where we were both speakers. We sat down less than 24 hours after the announcement of IGTV. Bryan, as I’ve come to expect, already had formulated a strong and sensible take on the implications of this new video platform. I’m delighted to share our conversation and honored to present Bryan as the inaugural guest on Brand on Broadcasting. In addition to being one of the most respected thought leaders and accomplished public speakers in the industry, Bryan stands out among the leading social media and digital marketing personalities for his kindness, generosity and class. In the first few minutes of the episode, I talk about my reasons for starting a new podcast and how this one differs from The Livestream Universe Update and #LivestreamDeals.